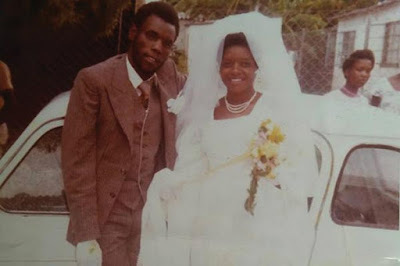 THE late music legend Oliver “Tuku” Mtukudzi’s first wife, Melody Murape, has bared her soul on her marriage with the late singer who was declared a national hero, becoming the first artiste to receive such an honour in the country’s history. In a wide-ranging interview with NewsDay Weekender Life & Style on the sidelines of Tuku’s funeral service at his Norton home, Murape said contrary to reports that she was divorced by Tuku, she was the one who moved out of the marriage after the music star decided to take on a second wife. “Tuku did not divorce me. It’s me who surrendered as I was against polygamy and moved out of our Eastlea home, and people must get it right. Many people peddled falsehoods that I eloped to a soldier. Those were all lies. Tuku was the only husband I knew from the age of 18,” she said. Melody — who is the mother of Selmor and Sandra — said Tuku was a loving and supportive husband who would spoil her on several occasions before the marriage broke up. “I am the first wife. I am the one he wedded in 1979 at Gwanzura Stadium before he became that famous. As a housewife, I would remain home when Tuku went on international trips, but upon his return he used to spoil me a lot,” she said. Melody, however, said he respected Tuku as the father of her two daughters. “I am pained. Tuku is my daughters’ father. Sandra and Selmor were here talking to their father as they bade him farewell ahead of their United Kingdom tour and barely four days later, they are coming back for the funeral,” she said. Speaking on the publicised beef between Mtukudzi and her daughter Selmor, who is also an afro-jazz singer, Melody said she had managed to reunite them although it took her almost three years. “Something had happened that I cannot share with the public that had angered the father (Tuku), but the state of affairs was not as bad as described by the public. Everything was now water under the bridge such that they were about to record a collaboration that was written by Tuku,” she said. Melody said her happiest moment with the musician was when they wedded in 1979 at Gwanzura Stadium in Highfield, Harare. “I married Tuku at the age of 18. I was still young. He was staying at Old Highfield and I was staying at Engineering and we used to meet at Machipisa Shopping Centre,” she said. She said she first met Tuku at Chimurenga music star Thomas Mapfumo’s show. “It was a school holiday and I had come to Harare from our rural area to my sister’s place for a Thomas Mapfumo show. So when we were about to get into the concert, Tuku was attracted to me, I was beautiful for sure. I did not know him by then as he was not that famous as I only knew him with his first name Oliver,” she said.